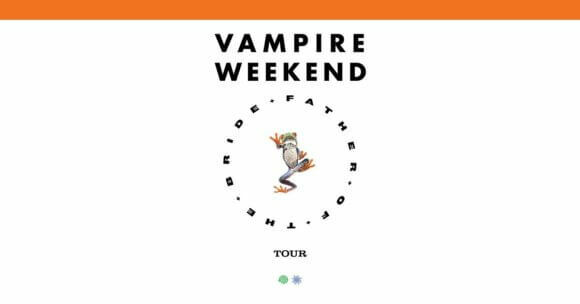 Vampire Weekend will be touring in support of their upcoming fourth album, Father of the Bride, set to drop this spring. The North American tour will kick off on May 17, 2019 at the Hangout Music Festival in Gulf Shores, AL. Among the cities included on the “Father of the Bride” schedule are St. Louis, Chicago, Nashville, Philadelphia, and Boston. The tour will wrap up on October 08 at the Red Rocks Amphitheatre in Denver, CO. The Vampire Weekend tour announcement comes on the heels of the group’s self-titled first album going Platinum. Vampire Weekend has sold more than 1 million copies since its release on January 29, 2008. Each online ticket bought in the U.S. will receive a physical CD copy of Father of the Bride.